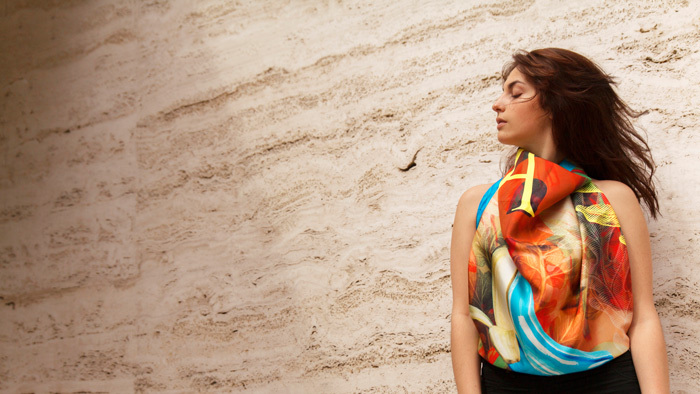 Cedostopía is a project created in 2016 in Madrid by Carmen Peña and María Clara Ricaurte. Born out of the utopian creative necessity of its founders, who were brought together by a shared passion for all the creative disciplines from the fine arts, to film, to literature; cedostopía is the point of convergence that balances art, fashion, design and the existence of a dreamlike realm where various worlds can coexist and from which the creators produce their printed designs. Art and design envelop the whole philosophy of Cedostopía which is driven by the following values: scarves of high quality and careful production. 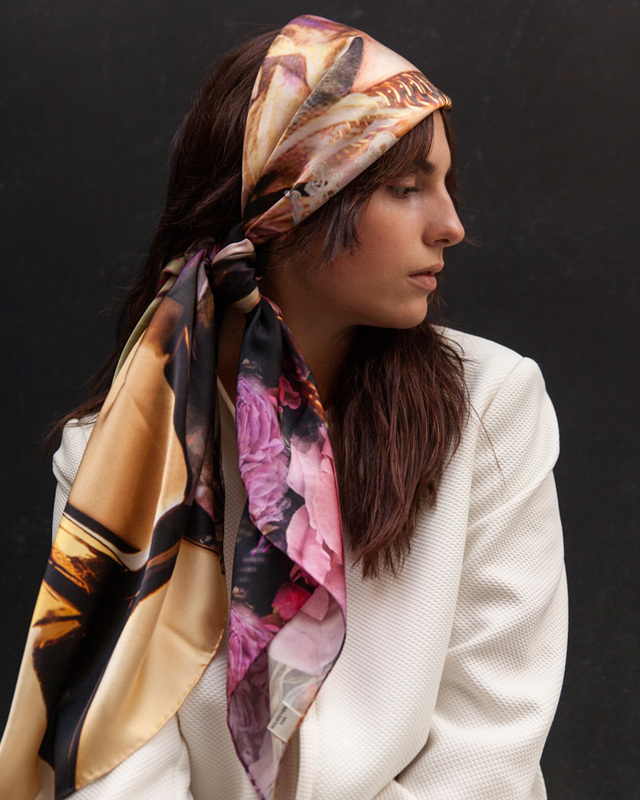 100% natural Italian silks, sewn by hand and produced in small quantities in Spain; artistic designs that can be worn by men and women, made by the founders who have a background in the world of design; the scarf as an element that goes one step further, with multiple possibilities, not only in fashion but also for interior decoration. 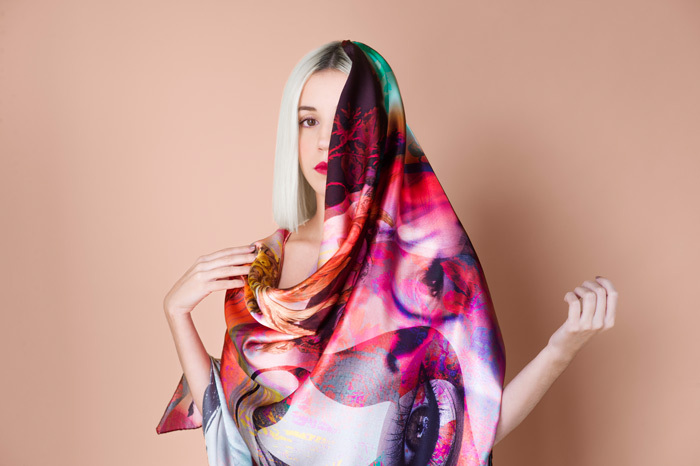 Cedostopía grew out of the love of graphic design of its two creators, Maria Clara Ricaurte and Carmen Peña, who after many years of experience in the sector both in Colombia and in Spain, joined forces to turn a personal passion for the world surrounding silk scarves into a reality. 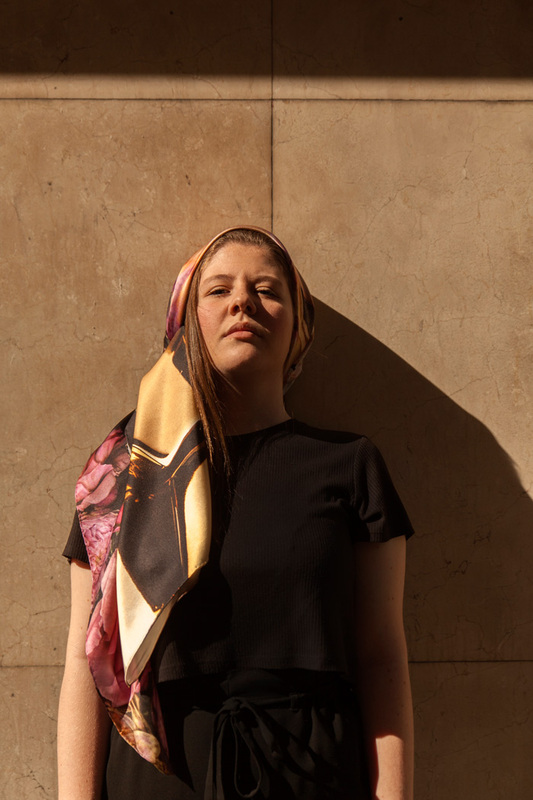 With their careful production, these scarves reflect the colorful and polifaceted spirit that is the core of the firm’s philosophy. The designs, with their strong visual impact, make reference to illustration as well as painting, to typography as well as graphics, achieving a perfect fusion of the colorful and passionate Latin culture and classical European roots. The current collection is being sold exclusively online on the web: www.cedostopia.es, however we have been contacted by El Paracaidista concept store in Madrid, and also by the concept Gallery Paulina´s Friend in Berlín, as well as another design store in La Coruña, Galicia. The prices range from 35 € to 155€ depending on the size. Cedostopía is developing projects in different fields of design, art and interior decoration with silk as the main focus with the intention of going further. 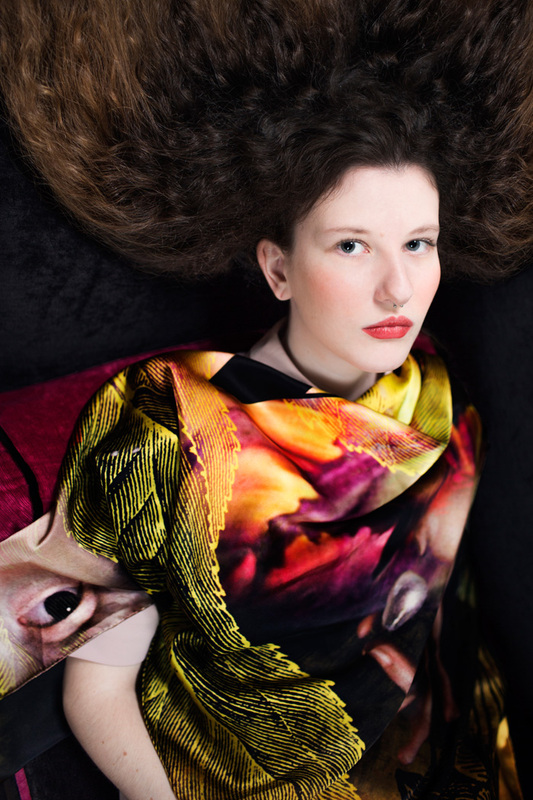 Starting with a collection of scarves, these go beyond a fashion accessory to become unique objects that adapt to the personality of the wearer, enveloping the body in a thousand ways and creating stories where imagination is the limit. They have multiple uses thanks to the diversity in size (from 42×42 cm to 120×120 cm) they can be worn not only around the neck, but also as a skirt, blouse or used in a decorative way as a tapestry. It is an element with the capacity to be a sign of style and trendiness at the same time, making it one of the most multi-functional accessories. 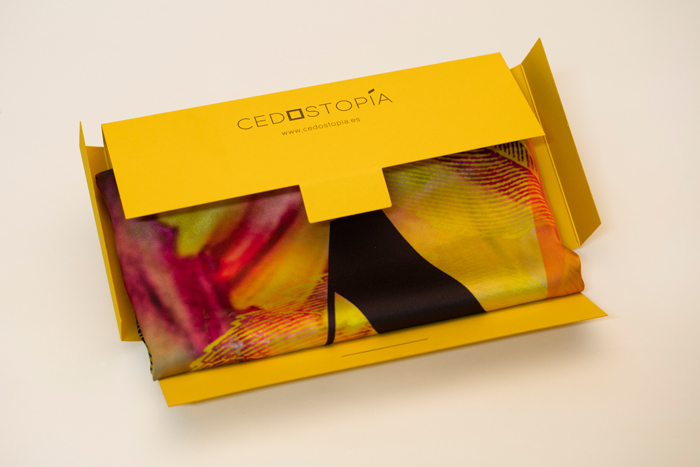 The production process at Cedostopía is none other than the path to an excellent product. From the moment of design until packaging, with the printing process and hand finishing, the work of Cedostopía is influenced by fashion, art, travel, architecture, interior design, film, music or even gastronomy. With a natural connection, things flow on their own; and its founders while they have distinct visions share the same way of understanding life. They design with “four hands,” creating designs that are only possible working as one. The material chosen, silk, seduced them from the first minute due to its delicate texture and the unique quality of its movement. After giving it much thought; Italian silk was the best suited for their needs. Apart from the actual silk, Cedostopía is a Spanish product. The designs are printed in Barcelona in a specialized workshop with the highest quality on the market. 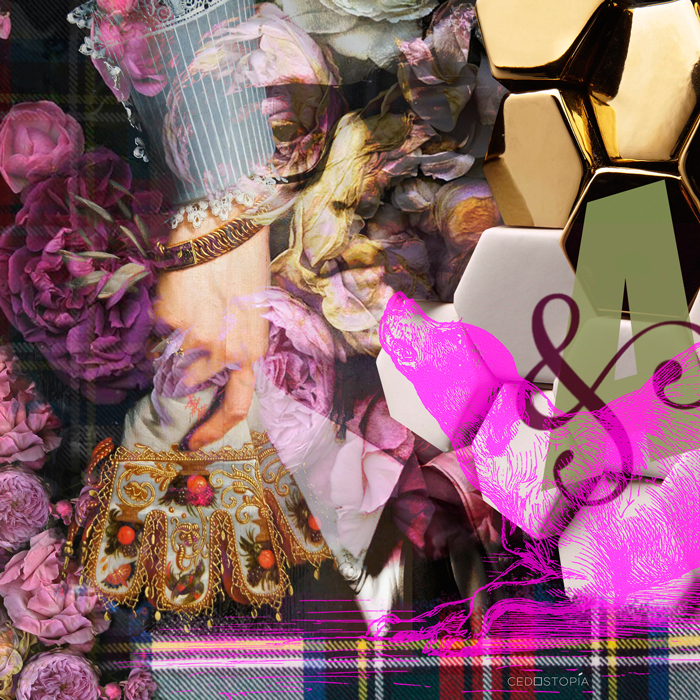 The pieces are finished by hand, sewn in artisan workshops. The packaging was designed specially by its creators and the photographs on the web were done by Spanish photographers Carmela Work and the young photographer Adriana Roslin.